From busy mornings to the after school scramble it is always a “berry” good idea to have snacks on hand for hungry little tummies. 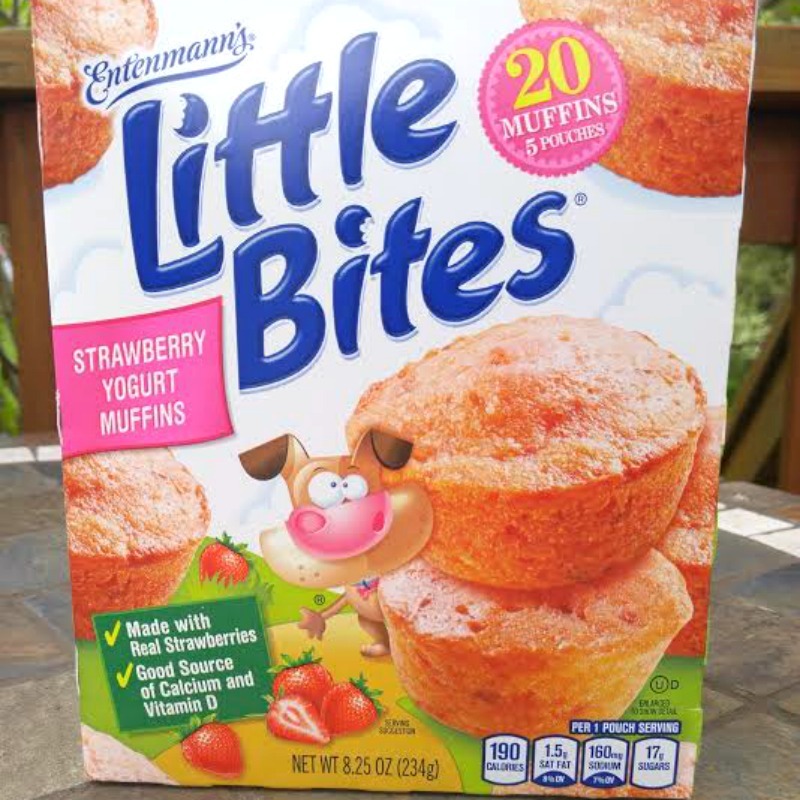 Entenmann’s® Little Bites® Strawberry Yogurt Muffins are not only a good source of calcium and vitamin D, but they come in perfectly portioned pouches ideal for snacking on-the-go no matter what time of day! With less than 200 calories per pouch, Little Bites® Strawberry Yogurt Muffins are a good source of calcium and vitamin D, and never contain high fructose corn syrup or trans-fat! These muffins are baked soft and moist using REAL STRAWBERRIES! 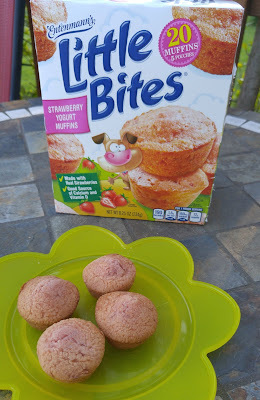 Four Fun Facts about Little Bites Strawberry Yogurt Muffins and Strawberries! Calcium and Vitamin D helps support bone health. 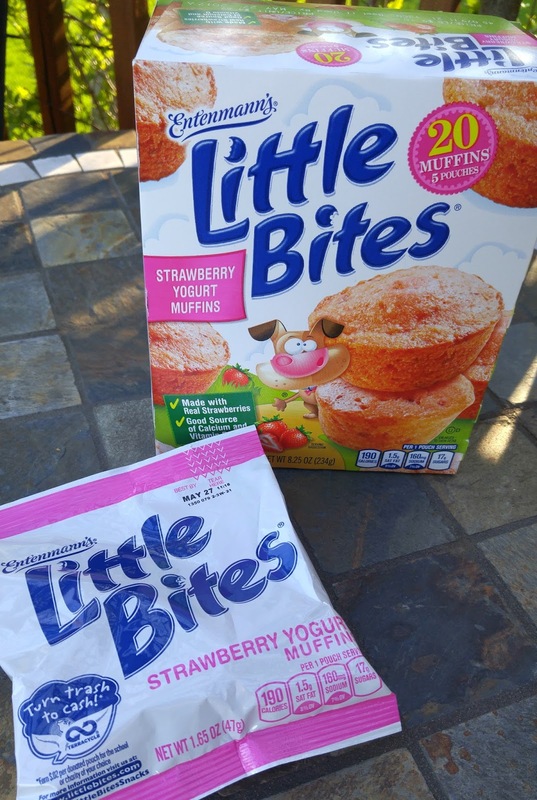 Little Bites Strawberry Yogurt is made using real strawberries. The state that grows the most strawberries is California. Unlike many delicious fruits, the strawberry stops ripening once it's picked! It is not just hectic mornings here at our house, but hectic afternoons as well. With two kids in sports sometimes they need a snack before practices or after practice to tide them over to dinner time. 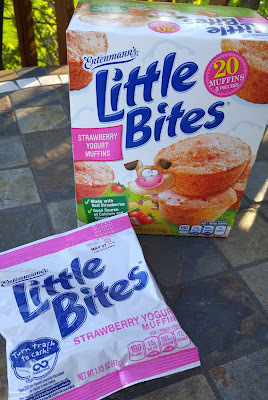 My kids love every flavor of Entenmann’s® Little Bites® muffins and they are must pt have on hand in my house. They are so convenient that the kids can grab them and go. They fit nicely in the sports bags for snacks, a quick breakfast, etc. It took me a a few days to find these muffins in store. You want to know why? Because they are so yummy and popular that once a store has them in stock, they sell out! My son found the last box at a local store. You can smell the strawberries the minute you open the bag and once you bite into one, you get an explosion of flavor. It is no wonder that these are so popular. Since this is a limited edition flavor, it is time to buy them!